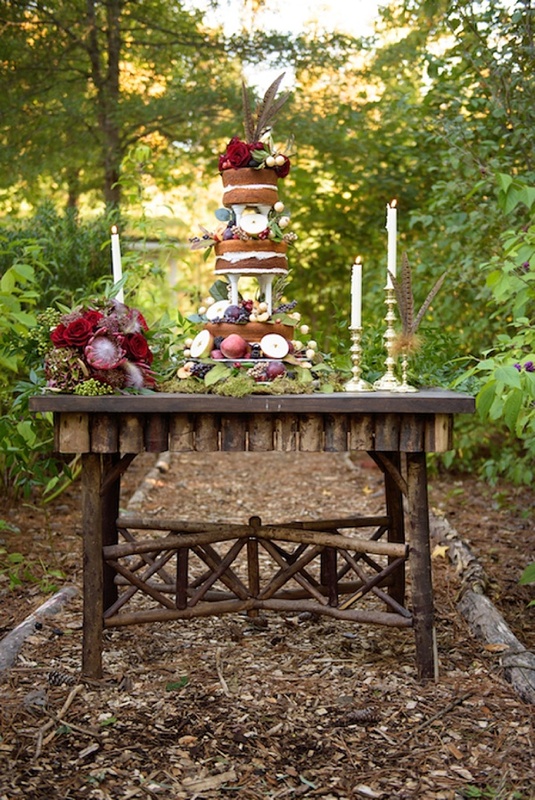 With fall just around the corner, all of these rustic harvest details is surely going to get you in the mood for jewel tones galore. 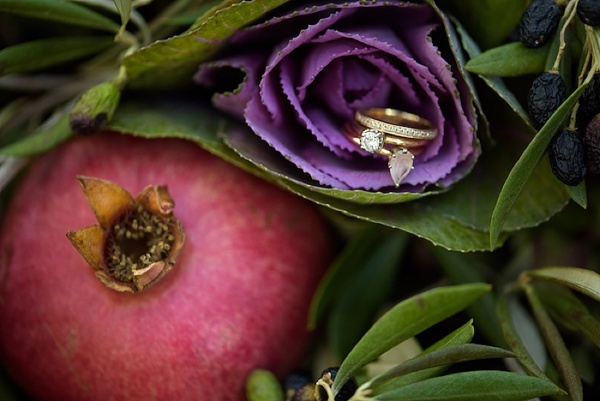 Bring on the hot apple cider that awaits us all soon! 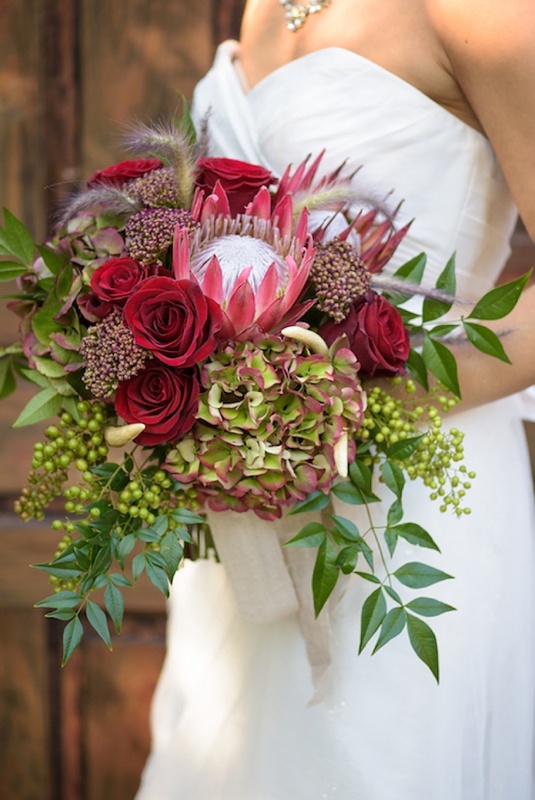 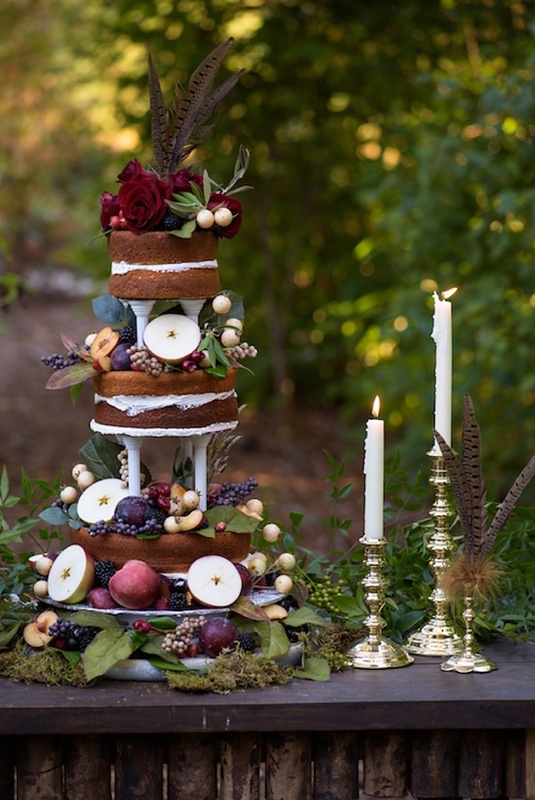 From rich reds to lush purples, this wedding inspiration shoot has a bit of everything to speak to cooler weather days ahead. 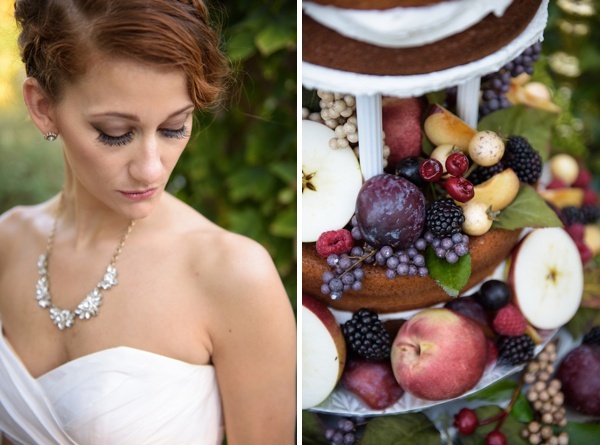 Captured by Meredith Ryncarz Photography, a gorgeously tiered naked cake dappled with apples and berries, a textured bridal bouquet with deer antler accents, and a table set for a gilded outdoor celebration tied together the best of autumn elements at Williamsburg Botanical Garden by one fab creative wedding team. 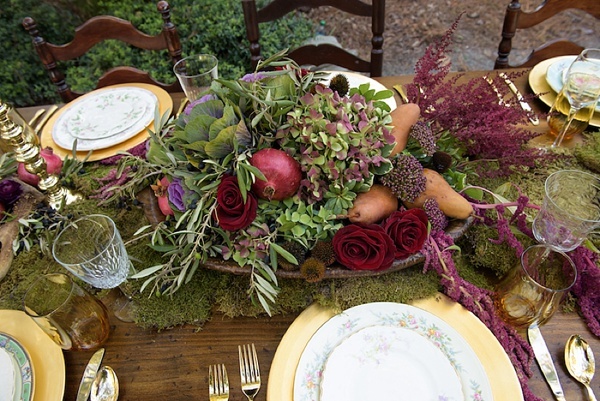 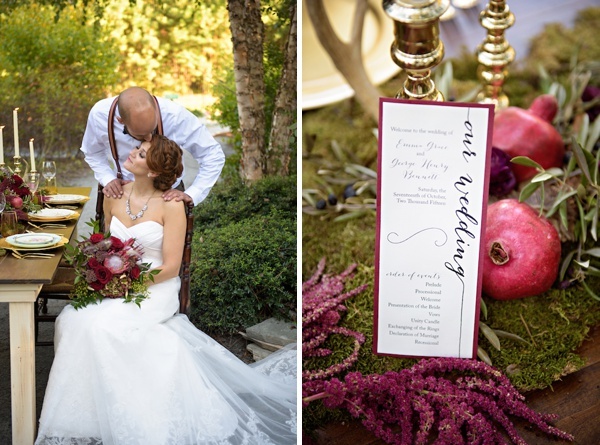 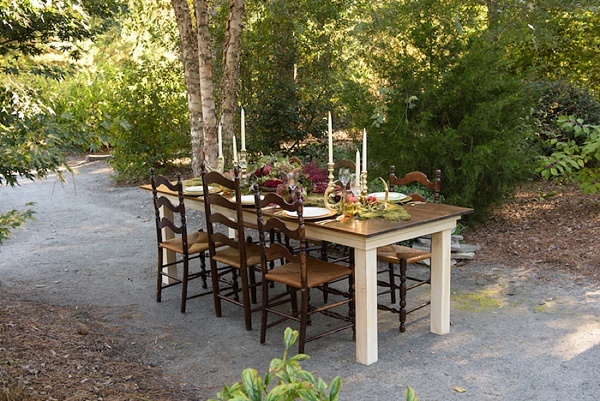 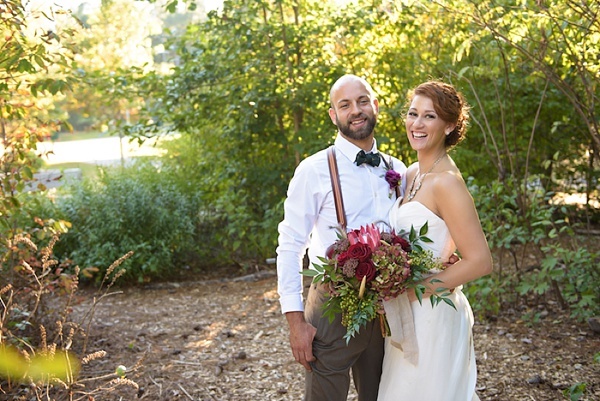 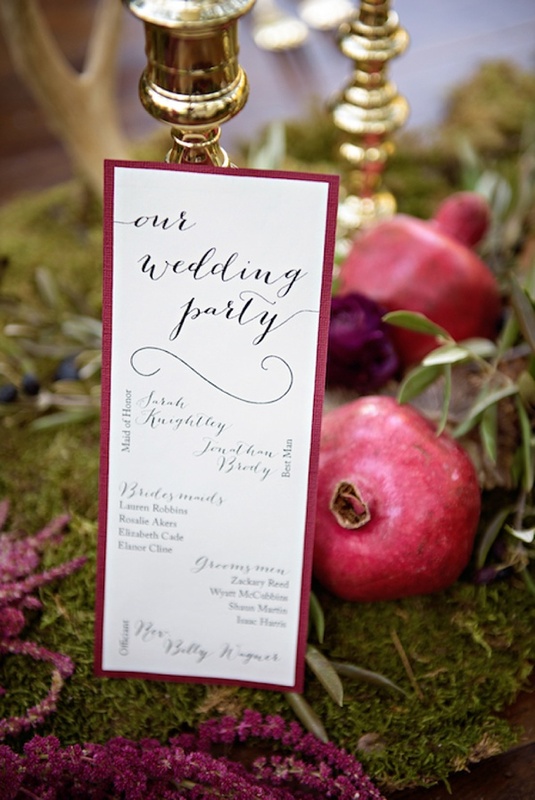 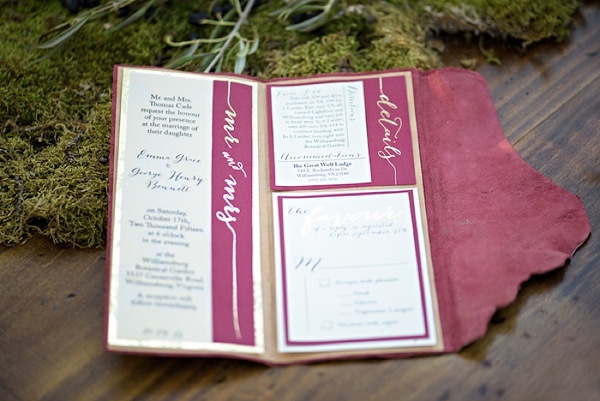 It goes without saying that we love us some fall weddings!